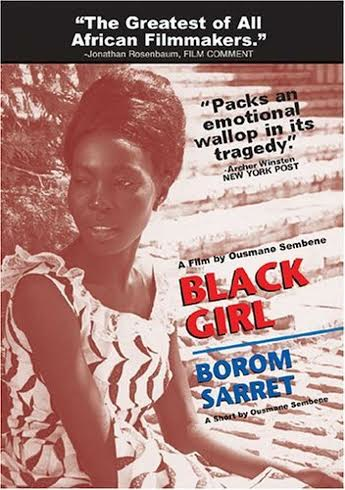 French professor Daryl Lee discussed the significance of Senegalese director Ousmane Sembène’s Black Girl and its historical context at an International Cinema lecture. PROVO, Utah (Feb. 3, 2015)—When the written word was not enough to promote social change, Senegalese director Ousmane Sembène turned to film to reach the masses. French professor Daryl Lee discussed the cultural significance of Sembène’s film La Noire de … (Black Girl) and its success as the first ever feature film released by a sub-Saharan director. Lee explained Senegal’s importance as a nation in the history of French colonialism, becoming a model of stability to many West and Central African nations following the period of independence in the mid-20th century. Lee continued to explain that films are not simply about what takes place in them; the context in which a film is distributed and received is also a significant aspect of its value. Black Girl drew significant acclaim upon its release. It received the prize for Best African Director of a feature-length film at the first Festival Mondial des Arts Nègres in 1966, a world festival for the Africana arts. “You had luminaries like Duke Ellington, Langston Hughes, Wole Soyinka and Nelson Mandela. All of these people were at this festival. The fact that they were there says something about the importance of this film’s initial reception,” said Lee. Other important participants at the festival were Aimé Césaire and Léopold Sédar Senghor, crucial figures for la négritude, an ideological and literary movement developed by black writers, intellectuals and politicians in the French Empire to promote solidarity in black identity and fight against colonial racism. Lee explained that the festival was significant because of its international project to unite African nations, as well as to represent Africa to the rest of the world. What differentiated Sembène from other important Senegalese writers was that he was not part of the educated elite. He was a working class man who would eventually become exposed to Marxism, a philosophy that would play a key role in his works as a writer and filmmaker. Sembène decided to make the transition to filmmaking in the late ’50s during a trip by train to the Belgian Congo (now the Democratic Republic of Congo). “He calls it a kind of epiphany or spiritual moment where he realized that it’s not through writing that he’s going to speak to the masses of Senegal but rather through this visual medium,” said Lee. Lee identified several themes and motifs that appear throughout the film, especially focusing on the use of voice-over narration as a critique on the hybridity of identity. “This is a film about self-interrogation, a film that questions constantly the presence of French in Africa,” said Lee. The protagonist of the film, a young Senegalese woman named Diouana, leaves her native Dakar to work for a French family on the Riviera. She speaks through voice-over. She constantly asks herself important questions, yet there are only two or three moments when she is actually seen speaking, to respond “Yes” or “No, madame” to her employer. Lee explained that the use of the voice without a source or cause is often used as a powerful agent in film but usually signifies a god-like presence. Here, he suggests, it is the reverse.